Time is your most valuable resource, especially as an entrepreneur. You do not have the time to waste things on little things that make you no money, while neglecting those activities that will generate money for your business. It is not wise to spend time on things such as running errands and administrative tasks, when sales are supposed to be your main objective. As an entrepreneur, you are familiar with the 80/20 rule: 20 percent of your customers equal 80 percent of your sales. The same statement can be applied to how your time is managed. Where you spend your most time affects your level of productivity. You can either spend your time on activities which make you money or those activities which hold your business’s growth back. What is amazing is to learn is that many entrepreneurs do not realize the amount of time that they waste on nonessential activities. They believe that being busy is the same thing as being productive. This is nowhere near the truth. Successful entrepreneurs understand the importance of great time management skills, which is one of the reasons they became successful. Time is such a crucial factor in your entrepreneur process because it is what forces you to think and act with focus. When you understand that your time is limited, you focus on achieving as much as you possibly can. Knowing that making money is your most important function as an entrepreneur, only focus on those activities that align with that purpose. Anything that does not fit into this criteria must be outsourced so that it does not have the ability to steal away your attention. There are a number of activities that can be outsourced to free up your time to make money. The following activities are some ideas that can help you better use your time. Let’s face it, when you are building a successful business you generally have no time to focus on your household matters. Things such as cooking and cleaning take up more time than you realize. Before you know it, 3 hours have gone by and you are behind on doing the important work that needed to be done. It would be a much better use of your time if you hired someone else to handle these sort of tasks. It does not have to be expensive either. You can get a chef to prepare enough meals to last a few days or an entire week. You can also have a cleaner clean your house once a week, or at most twice a week. When you have to pay people to do these tasks, you will be focused on making more money, and you will actually have the time available to work on increasing your income. 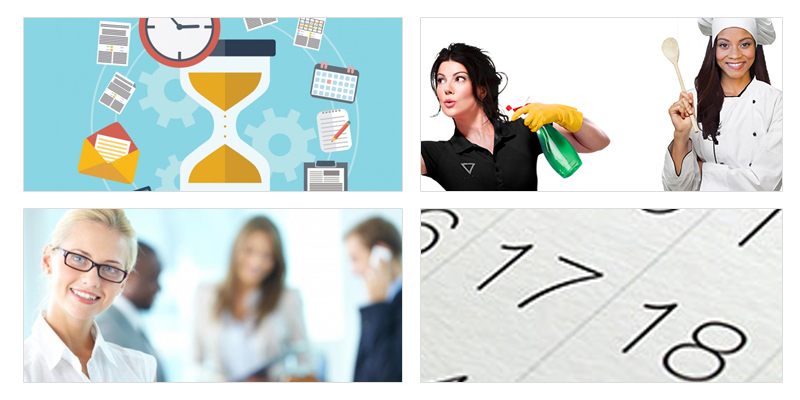 A personal assistant can help you save a tremendous amount of time. A personal assistant’s job is to make your business life easier by handling your small tasks that tend to add up throughout the day. Your assistant is also your communication specialist. They read and respond to your emails, answer your calls, do your research, and prioritize your schedule. When you look at all that a personal assistant does, you will realize how much time they are actually saving you. Those small tasks that you used to focus on add up to a lot of your day being eaten up doing menial work. Once again, you do not need to have your assistant working in your office every day. You can schedule them to work every other day, or whenever their time is needed. They can come on permanently once you are able to pay for their time with no problem. Your productivity will be halted if you burn yourself out. Even though entrepreneurship is about consistently working around the clock, you have to give yourself the time to rest and regain all of your energy and focus. Break your days down into scheduled periods of activity. The first have of your day can be focused entirely on making money activities such as marketing and sales. The second half of your day can be more relaxed: a leisure activity, strategy, and planning, and product or service development. These shifts in activities will actually allow you to get more done since you are not running yourself into the ground. There are times during the day in which you are more focused than any other time. Whether it be the morning, afternoon, evening, or night; schedule your most important task to be performed during this period of time. Your productivity during this time period will be so great that you achieve more in a few hours than you do the entire day. Your time is too valuable to be wasted. You are an entrepreneur, which means your focus needs to be on making money. Nobody is going to just hand success to you, you have to do those things which produce it into existence. Managing your time effectively is one those elements that is needed in order to become a successful entrepreneur. Use your time effectively and watch how your ability to make money increases significantly. Looking for Business Support in Singapore? Rikvin has been a leader in its business support services, from Corporate Insurance to Company Secretary we can assist you with all your business needs.